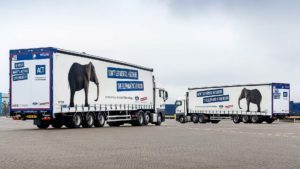 Ford is adding 10 liveried trailers to its UK transport operations fleet to mark this year’s ‘Time to Talk’ day. The trailers each feature the message: “Don’t let mental health be the elephant in the room”. The trailers will travel thousands of miles a year, acting as mobile billboards to raise awareness of the Time to Change campaign, which aims to end mental health discrimination. Last year, Ford partnered with Time to Change, producing a national awareness film called Elephant in the Transit, promoting the front seat of a vehicle as a safe space to talk after research, conducted by Ford, found that over two-thirds (67 per cent) of people said they were more comfortable talking about personal concerns when in a vehicle.